During the past few weeks, I’ve been bullet-training my way across the country and enjoying some places I’ve never had the chance to visit before. 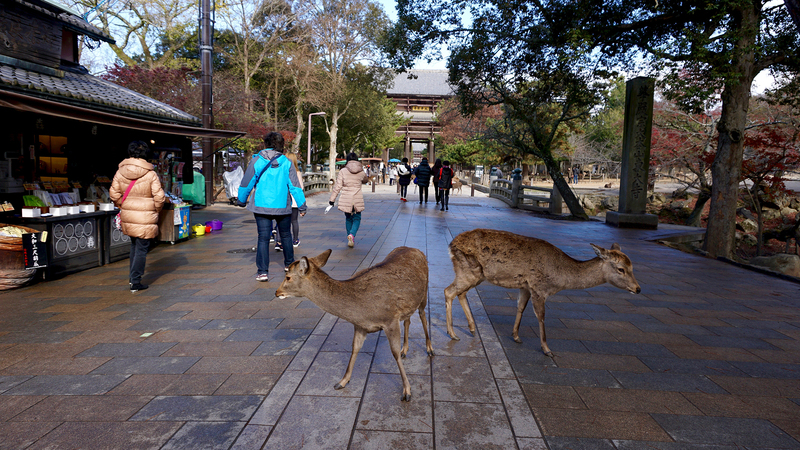 Cities like Nara, with its Buddhist temples, Shinto shrines and nearly 1200 free-roaming deer. 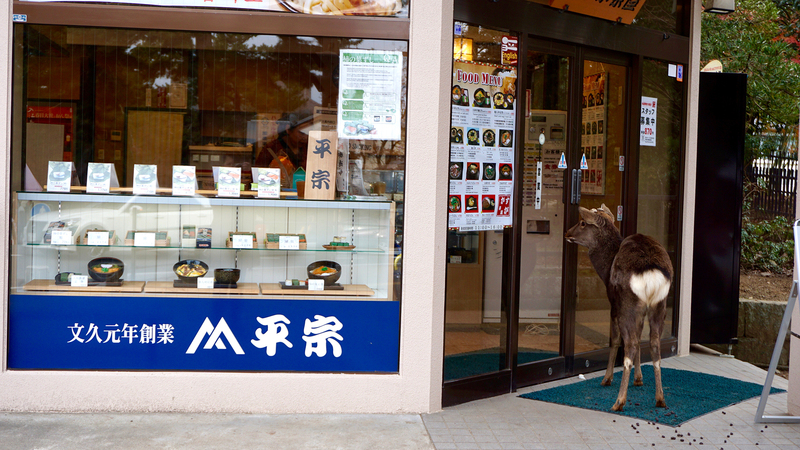 You can buy “deer crackers” on practically every corner in the city center, and there are plenty of takers. 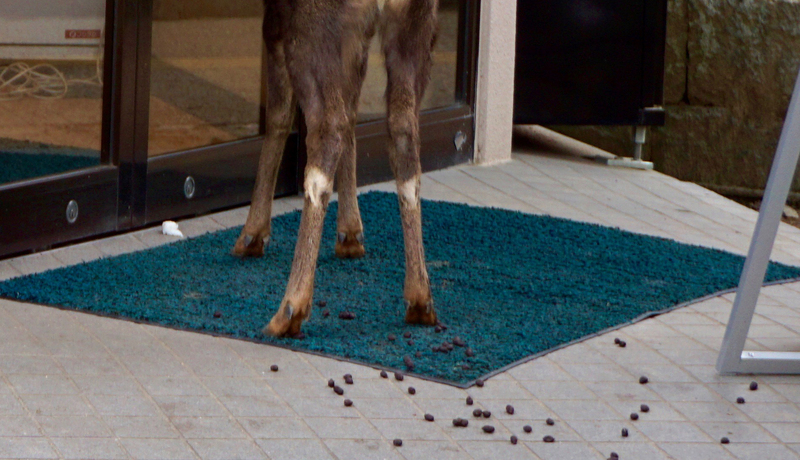 And, sometimes, not as cute. 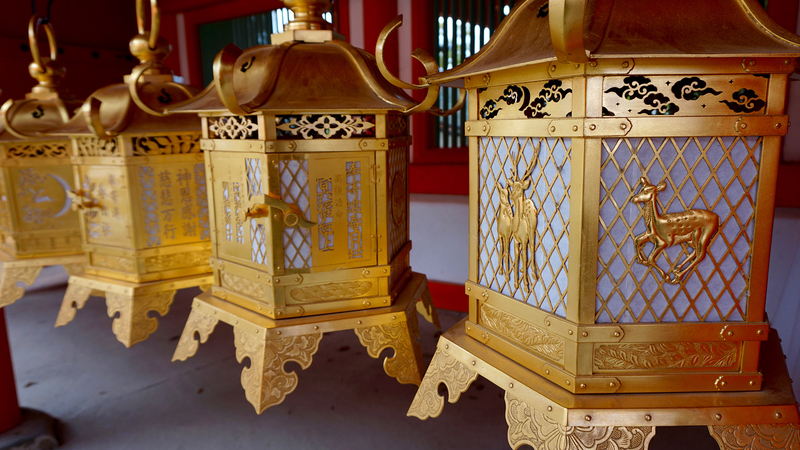 Nara is also known for the mochi sold at Nakatanidou and the rice cake pounding that takes place in front of the shop. In this YouTube clip posted by Great Big Story, you can see that this is no ordinary kneading! 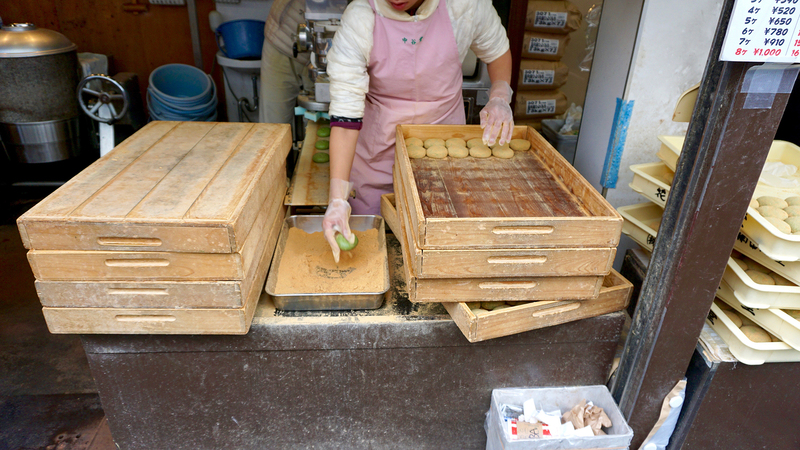 New mochi is made only when an existing batch has been depleted and, despite repeatedly passing the shop, I never saw any actual mochi pounding. 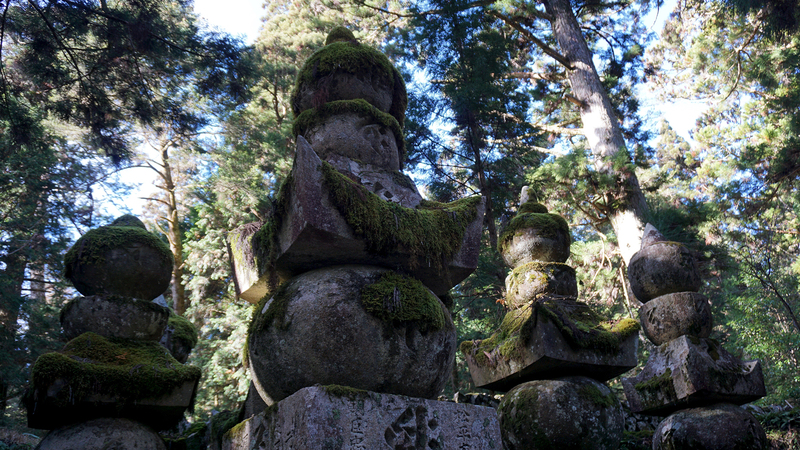 Just stacks (and stacks!) of chewy cakes ready for sale. 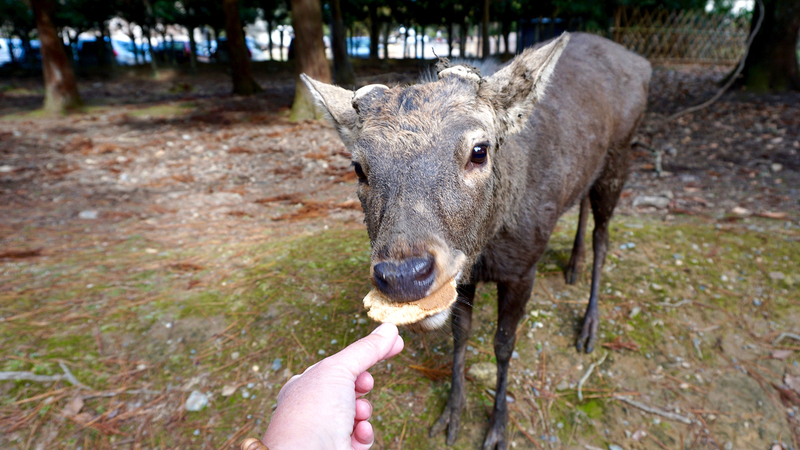 But I did do some actual mochi eating. 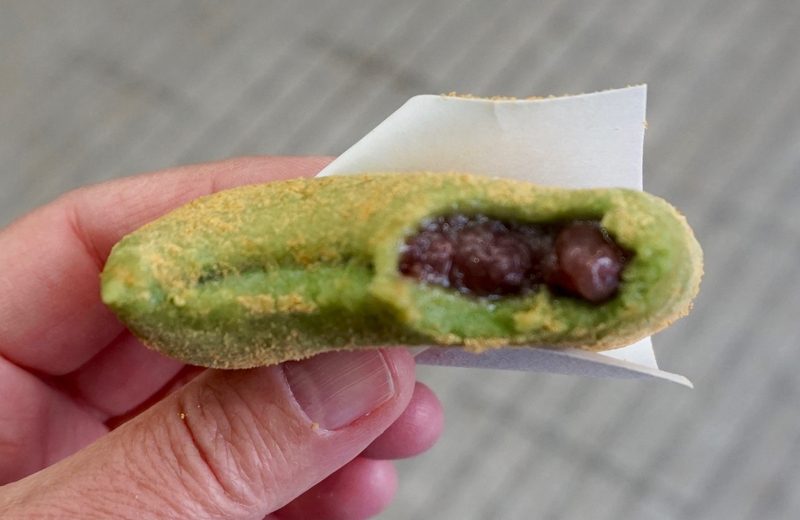 This glutinous rice dough is often filled with goodies like matcha (green tea) or red bean paste. Delicious! 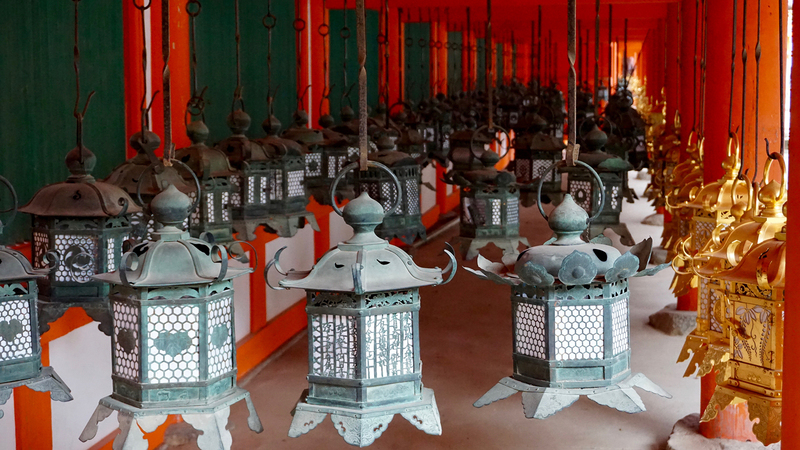 Another must-see in Nara is the Kasuga Shrine with more than 3000 lanterns. 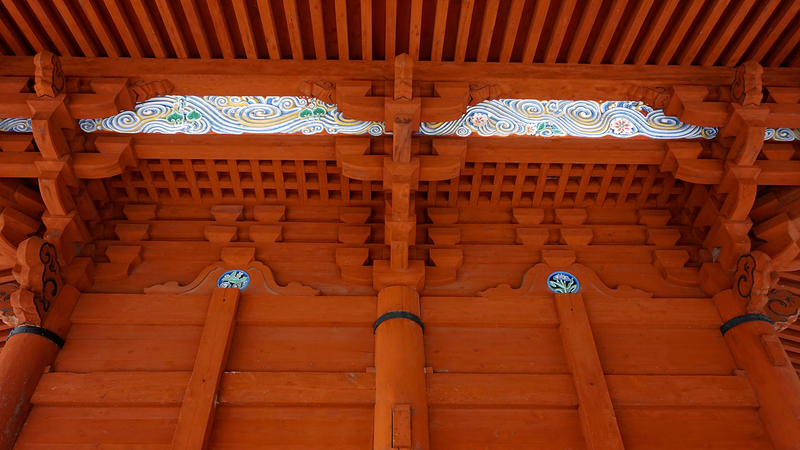 Many of them feature images of deer, which were once believed to be sacred. 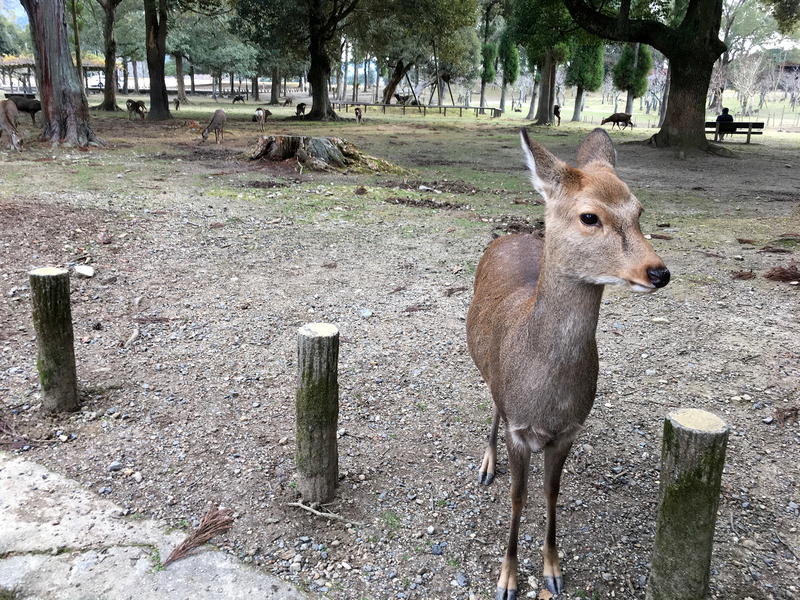 These days, Nara’s deer are considered a national treasure. 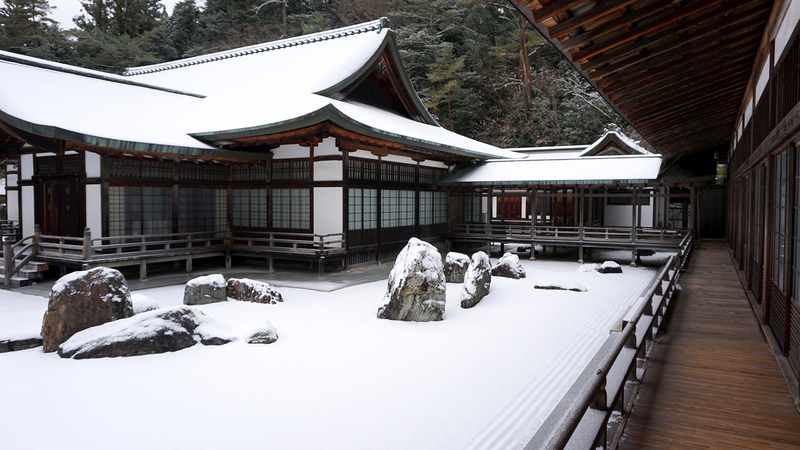 From Nara and Kyoto, I continued to Koyasan, which I’ve mentioned in two previous posts. 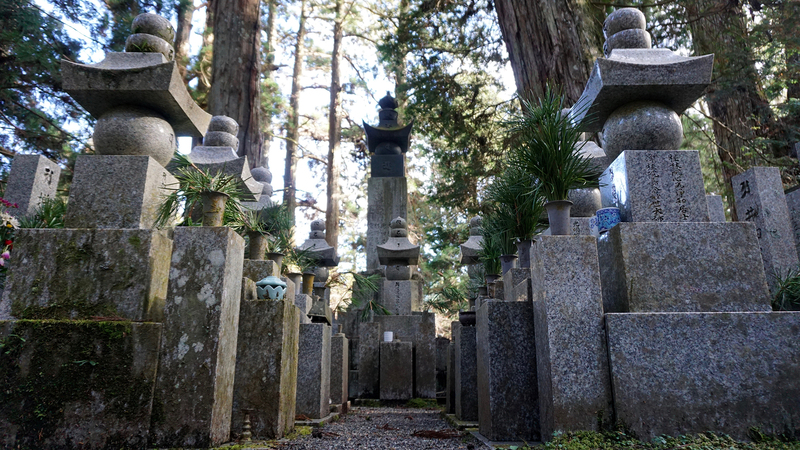 What I failed to show, however, was Mount Koya’s most famous sight: Okunoin Cemetery. 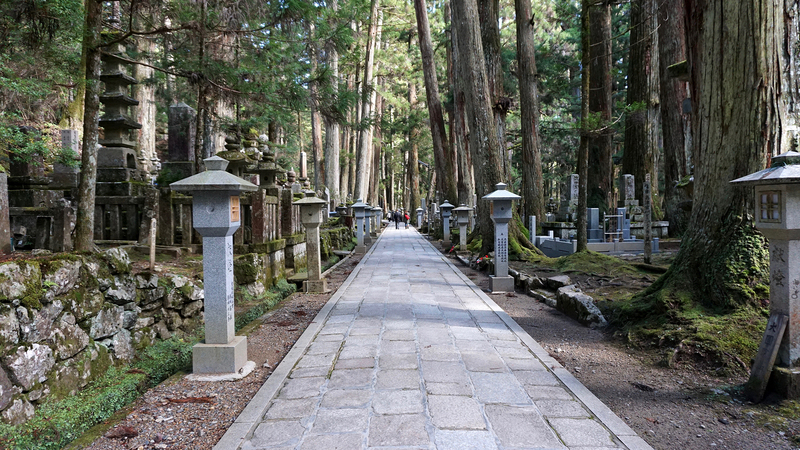 The path leading to Kobo Daishi’s mausoleum is almost 2 kilometers long and lined with more than 200,000 tombstones. 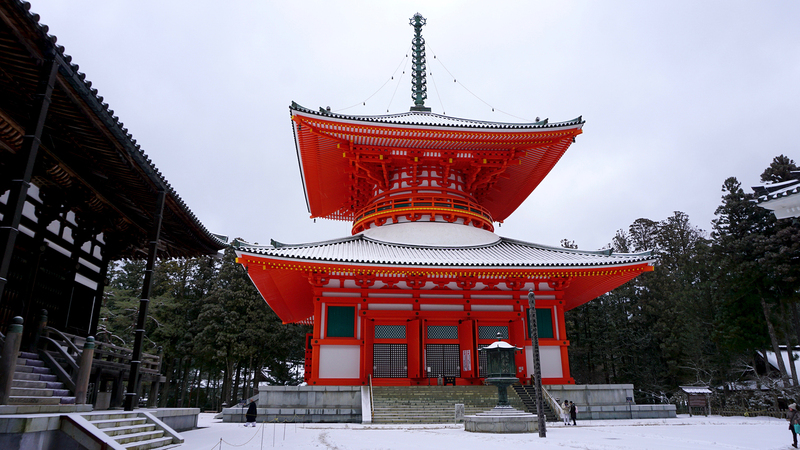 Koyasan is also home to the Garan temple complex with its Konpon Daito Pagoda, pictured on the left. 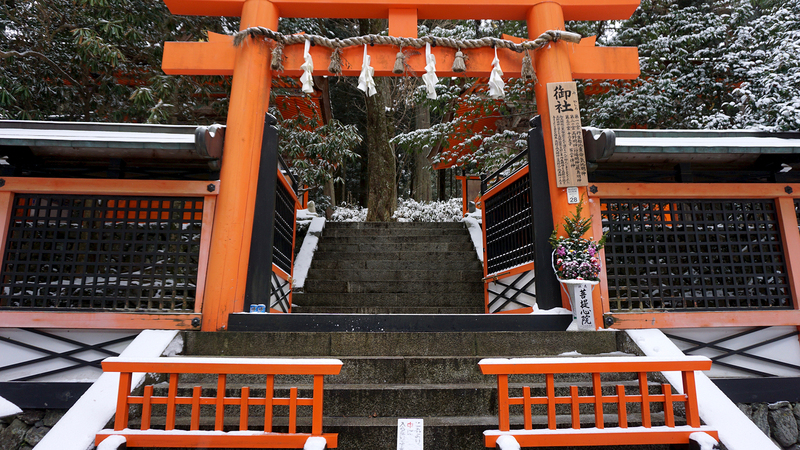 And the Daimon Gate, further down the road, that marks the entrance to the village. 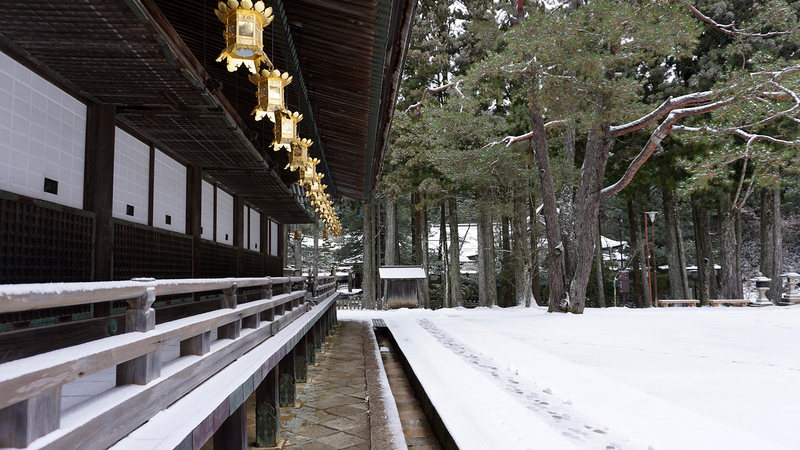 You could easily fill a day walking Koyasan from end to end, enjoying many peaceful and picturesque spots along the way. 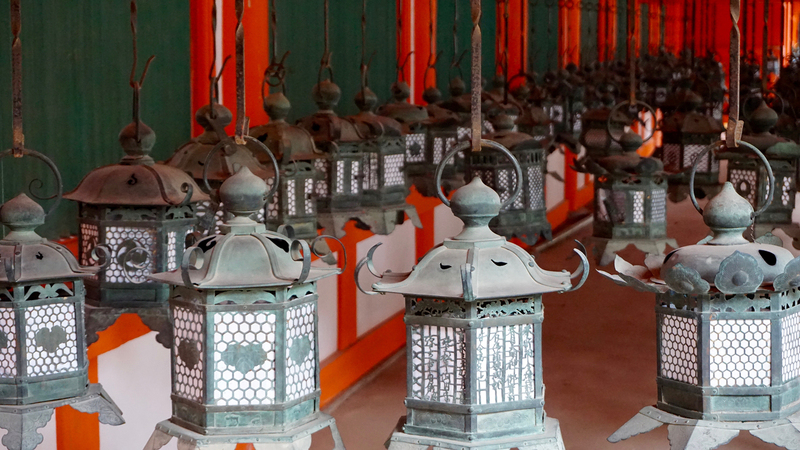 Another new-to-me city I visited in Japan was Osaka, which is a handy hub for crisscrossing the country. 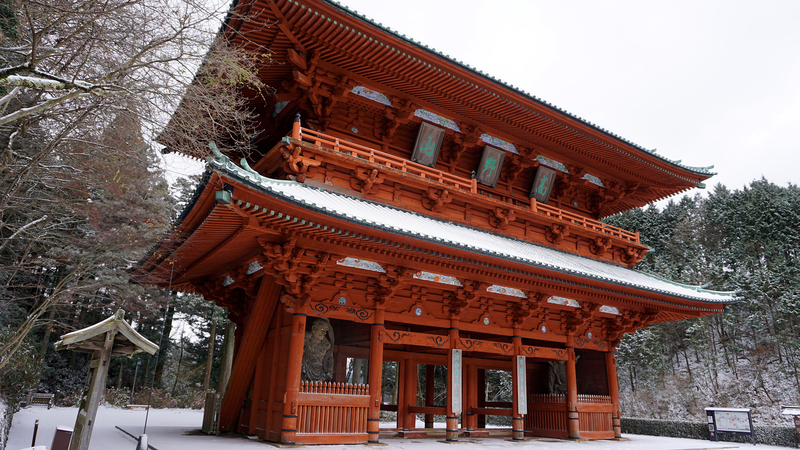 It’s also a great place to kuidaore — eat ’til you drop! 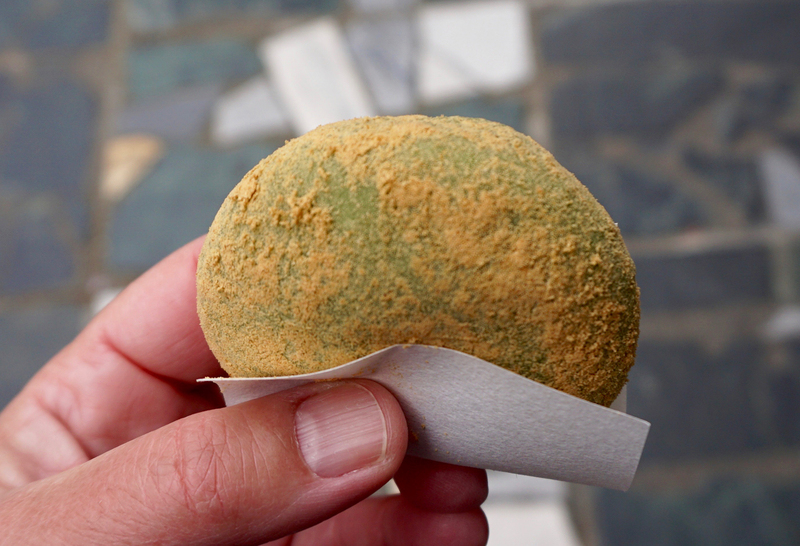 The Dotonbori district is where much of that eating and dropping takes place. 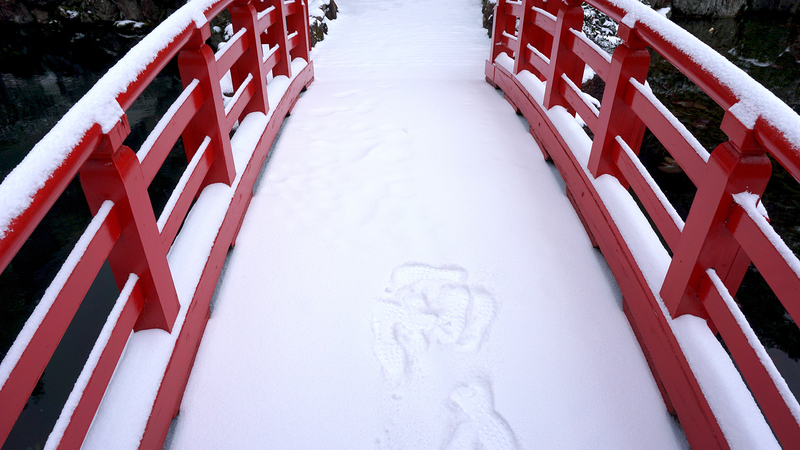 It was nearby, at Chitose, where I enjoyed my favorite okonomiyaki in Japan. This savory omelet-pancake hybrid contains egg and cabbage and your choice of ingredients like seafood, pork, green onions or other veggies. 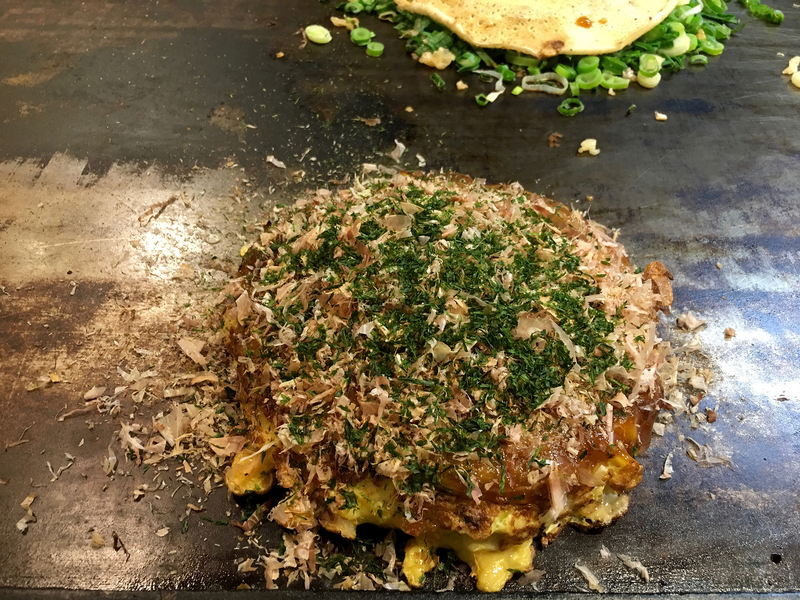 It’s usually topped with mayonnaise, okonomiyaki sauce, bonita (fish) flakes and dried green seaweed. Being a solo diner, I was often seated at the counter where I could watch all of the orders being prepared. 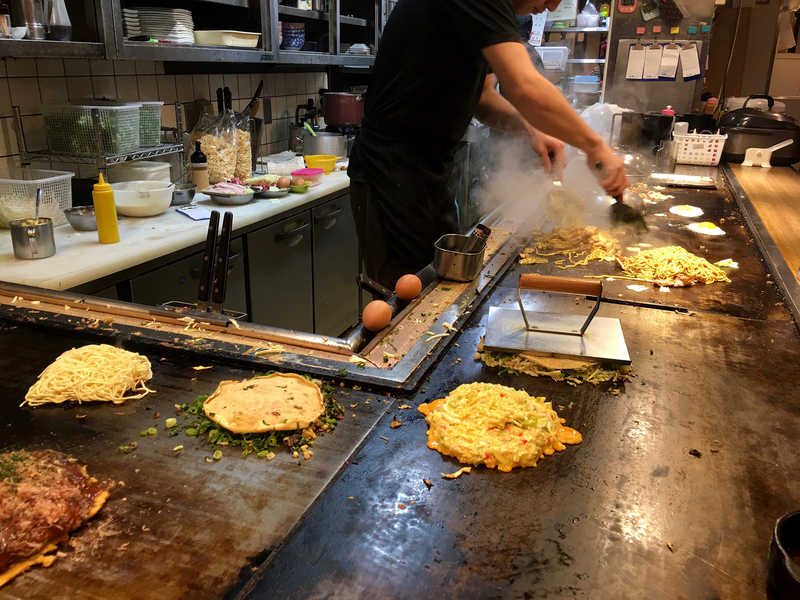 Parties of two or more usually sat at tables fitted with their own griddles to keep food warm after it was served. 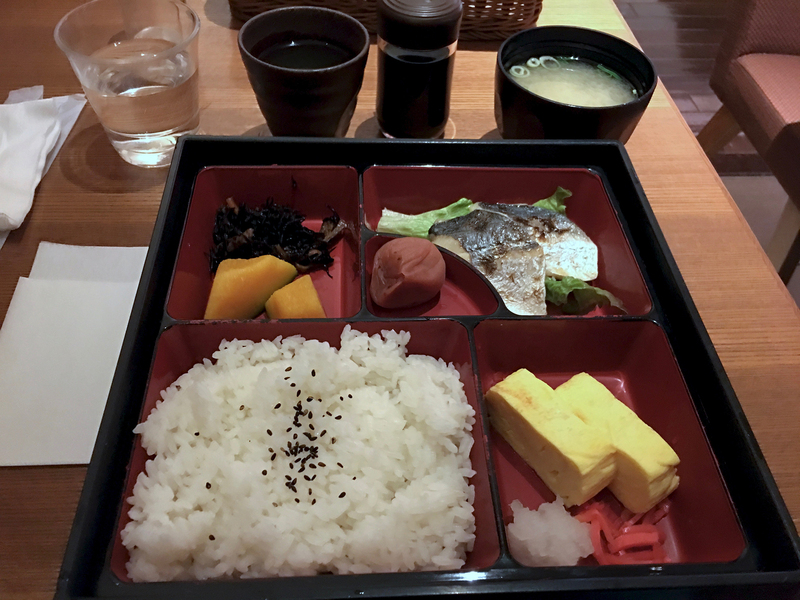 I rarely eat a proper breakfast while traveling, but I did enjoy the Japanese version offered at my Osaka hotel. It included grilled fish, miso soup, rice, Tamagoyaki (Japanese omelet), melon and a dried, pickled plum that was so so soooooo sour. 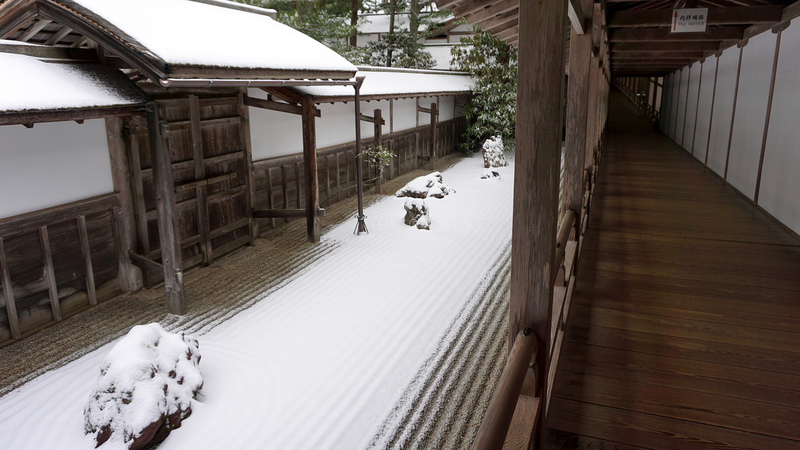 And, of course, a bottomless cup of green tea. 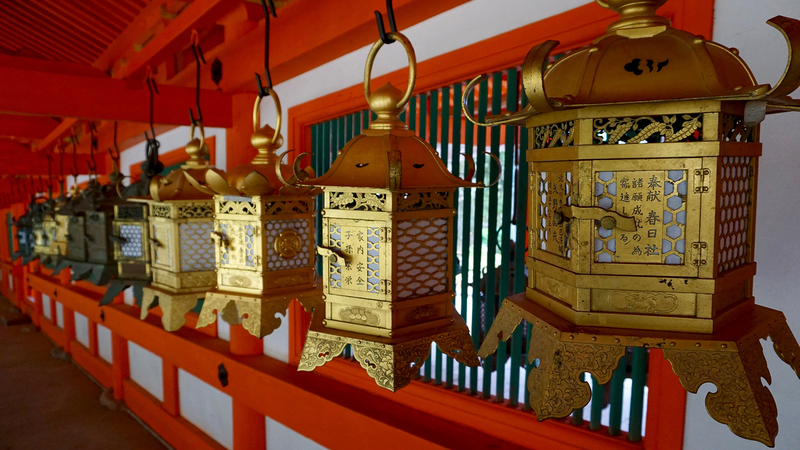 Osaka also proved to be a great place to relax and hatch more travel plans. 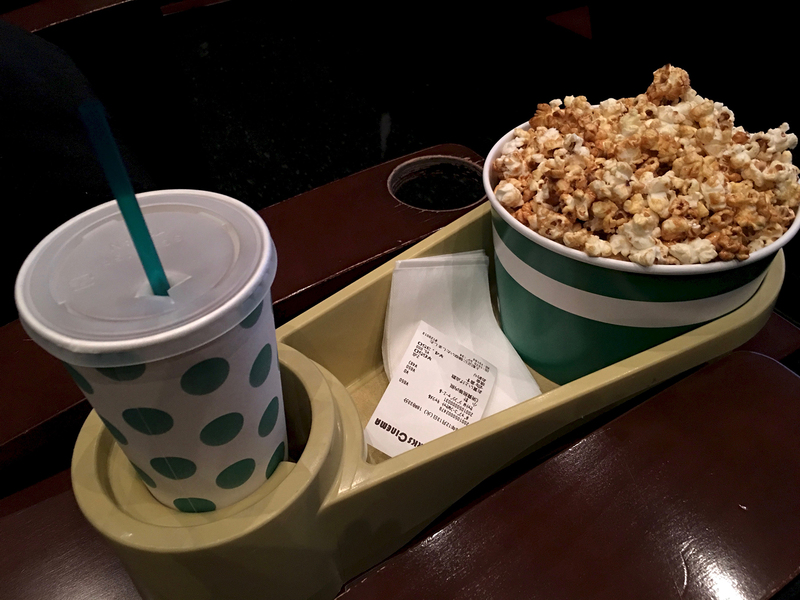 There was a cinema near my hotel, and that gave me the chance to do something else I enjoy: watching a film in a foreign country. It’s always interesting to see how the experience compares to movie-watching norms in the United States. 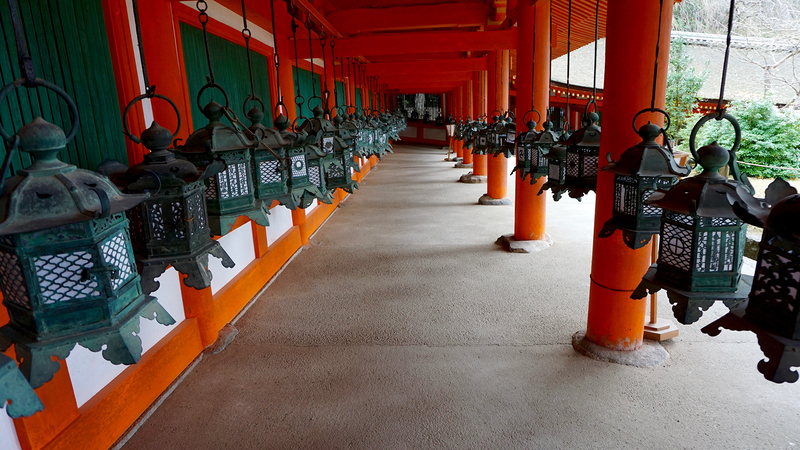 What I loved about Japanese theaters were two things in particular: They’re very clean, which came as no surprise. Moviegoers are also very quiet during the screening — no surprise there either! Like I’ve noticed in other countries, Japanese concession counters offer a choice of popcorn. Would you prefer salty or sweet? 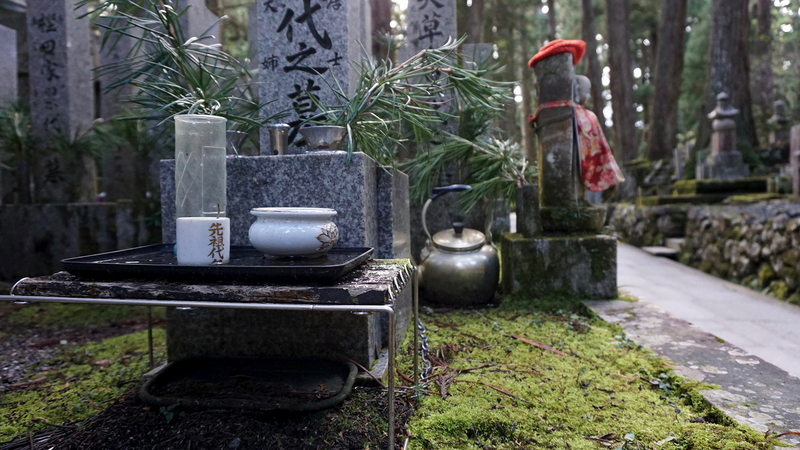 Staying in Osaka also gave me time to plan another leg of my journey — a trip to Hiroshima. That city, of course, deserves its own post, which is coming soon. 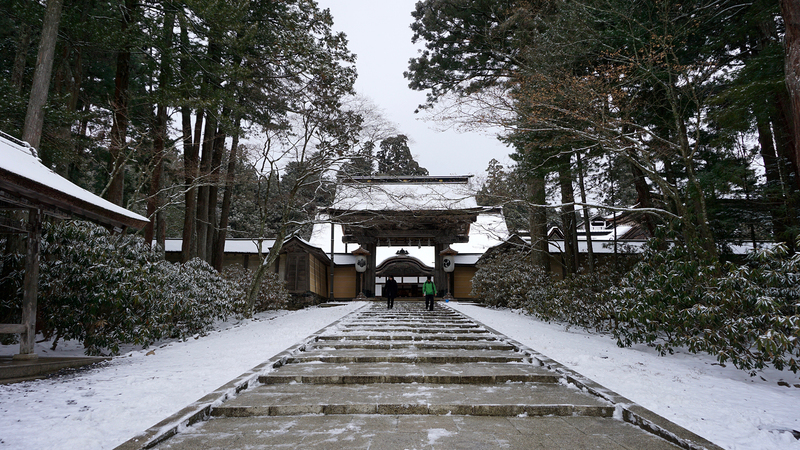 In the meantime, here are a few more photos from Koyasan and Nara.